The No. 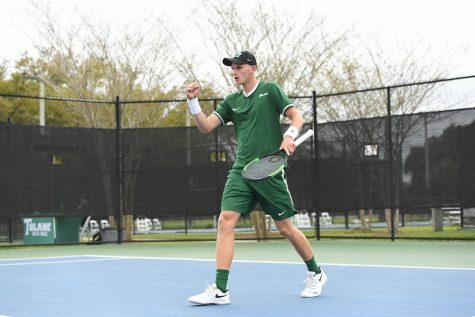 43 ranked men’s Green Wave tennis team is approaching its last few matches of the season and looking to score some much needed wins. Recently, the team has been on the upswing after a string of unfortunate losses. 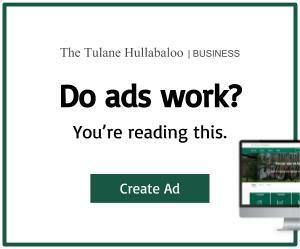 On March 15 at City Park, Tulane swept Old Dominion University, then ranked No. 46 in the country, with a 6-0 win. 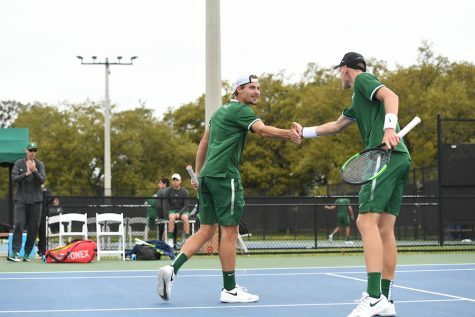 In doubles play, junior Luis Erlenbusch of Bruchsal, Germany, and junior Dane Esses of Houston, powered their way through to an impressive 6-1 win to kick off the Green Wave’s path to victory. At the San Diego Invitational, held March 22-24, Tulane finished the weekend with spectacular results. While the team lost 3-4 to San Diego, it beat Drake University 4-2 and No. 38 Harvard University 4-2, as well. These impressive wins will hopefully give the Green Wave a boost as it heads into the last leg of the season. Junior Ewan Moore of Scotland played an important role the last few games to help the team achieve victory. Earning All-American Athletic Conference honors in both singles and doubles last spring, it is safe to say that Moore deserves his No. 64 ranking. His standing has improved since last year, proving that Moore just keeps getting better. Sophomore Hamish Stewart, another member of the Green Wave from Scotland, had recent success over Harvard opponents in doubles. Sophomore Hamish Stewart’s big wins against Harvard helped the team finally end their losing streak. Tulane will next face conference opponents University of Tulsa on March 29 and Southern Methodist University that same weekend on March 31. These AAC matches will prove to be quite important for the Green Wave. 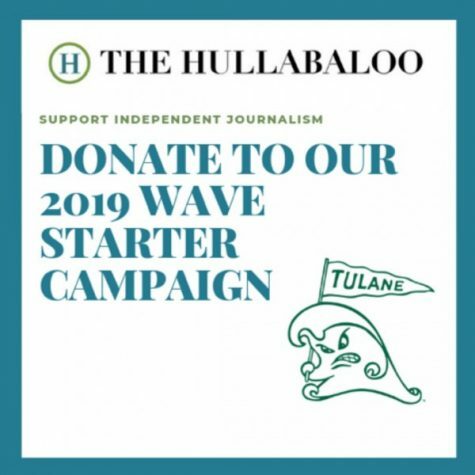 Currently sitting at 0-2 in conference play, Tulane is looking to get these crucial wins under its belt in order to improve its standing for the upcoming AAC Championships that will be held in Orlando, Florida, from April 18-21. Looking even further ahead, the Green Wave hopes to compete in the NCAA Tournament, which will occur in early May. After earning an NCAA tournament appearance for the third consecutive year last spring, Tulane hopes to continue that streak. The men’s tennis team will next travel to Tulsa to take on the Hurricanes before returning home to face the SMU Mustangs at City Park.